When you’re traveling with your pets, the packing list can seem endless. You need to bring enough food and find out where you’ll be able to purchase more elsewhere to avoid switching their diet (and the mess that often follows) along with ensuring your accommodations will be pet friendly. If you are traveling by train, you’ll need a carrier that meets TSA certifications and we must not forget about any medications your pet takes. But even once you have met your responsible pet parent duties, there’s still one more critical consideration. Perhaps surprisingly, one of the most important things to bring is… paperwork! According to the American Veterinary Medical Association (AVMA), when traveling with pets, you should have your veterinarian clinic’s information, copies of your pet’s medical records, and a health certificate at minimum. Some states require a health certificate for your pet to legally enter it, and some transportation providers require some additional documents! Beyond those basic items, what you take with you in your pet’s folder will largely be based upon your destination. If you’re going to the European Union for instance, you will be required to obtain form 998. Having translations of your certifications may also be helpful if you will be visiting a country in which little English is spoken. Always look up specific requirements for the state or country you will be visiting. Luckily, you can simply consult the U.S. Department of Agriculture’s (USDA) Animal and Plant Health Inspection Service (APHIS) website where they have a selection menu for various destinations and the information you will need for each of them. 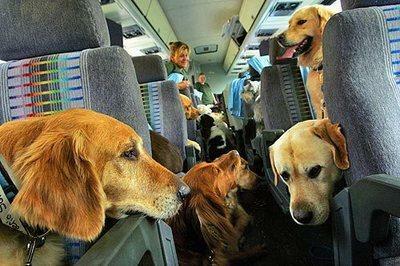 They also have information about who in the animal kingdom qualifies as a pet for travel purposes. Click here for that specific page of their website. If for some reason you consider purchasing a pet while abroad, you will need to ensure they fit into that definition of “pet” or otherwise you’ll be forced to leave your new pal behind, and possibly last minute. When you’re preparing to reenter the United States after your travels, be sure that your health certifications are still in order and confirm that your transport provider is prepared for your pet if you made reservations before your trip began. During the trip home, prepare to present your pet for visual inspection by customs and, while settling back in, arrange a visit at the vet to ensure that your pet did not bring back any illnesses. To arrange your pre-departure or post-arrival examination at NOVA Pets Health Center call (703) 378-9791 or email info@novapets.com especially if you have any questions regarding traveling with pets.